Take a moment and think about the students in your ministry. Now, focus in on the most squirrely, off-the-wall student you have. I know exactly which student it would be for me. In thirteen years of student ministry and three different churches one student rises above all the others in this category. He was the kid who as a sixth grader jumped on my back every time he saw me. He stole my hat every time I wore one. He tried to eat his weight in pizza at every event and his small group leaders continually asked how they could get him to calm down and listen. Sound familiar? One of those students exists in every ministry. With that student pictured in your mind, I want to ask you a question: Do you believe that your students can shape the culture in which they live? Do you believe that student, the one who changes your phone language to Portuguese, can truly shape the culture? Keep that question in your mind for just a moment. A simple definition for culture that we can work with here is “a set of beliefs, values, and way of life for a group of people.” This generation of students has a culture that is different than yours. They think and believe differently than you do now and differently from when you were a teenager. 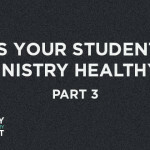 Your students’ culture will have slight, sometimes significant, differences from other student cultures depending on the environment and context in which you minister. You’ve seen evidence of this clearly even in your own town. For example, think about the high school or group of high schools in your area. Chances are there will be several cultures that exist even within that school or from school to school. It’s important to note that while culture is often used to describe race or ethnicity, and culture is definitely involved in that conversation, race and ethnicity are not the only driving factors for culture. There’s nothing wrong with cultural differences, but it is a reminder that ministry context matters. What works for you in your context programmatically may not work in another area of the country in the same way. It may also be true that one ministry endeavor that you do in your own town will reach a certain group of people while another group of people may not be interested at all. It’s important to get to know the culture, and even subcultures of the area in which you serve. So, if culture is a set of beliefs, values, and a way of life for a group of people, then developing culture-shaping students will mean that your students shape the beliefs, values, and way of life for the people around them. It means that they will make an impact in the places that God has placed them. 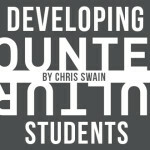 Back to our original question: Do you believe that the students in your ministry can shape the culture in which they live? Your answer to this question will determine a great deal about how you lead as a student pastor or volunteer leader. For many, students are considered too young or immature to make a Culture Shaping difference in the world. Sure, they can make a difference with some friends, in their neighborhood, or even rarely on their school campus. But shaping the culture? Really? 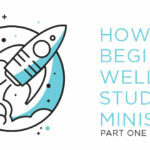 It is with that mindset that student ministry degenerates into a holding tank while the adults are discipled, or at best turns into years of “preparation” for them to get ready to do something big for the Lord. The core of this thought is that students are weak. That may be true. In many ways they are weak and immature. They are in the most awkward season of development that they will ever experience and they have little in the way of resources. Yet, God who is all-powerful and can do whatever He pleases has chosen to use the weak things of the world to exert His influence (Psalm 8:1-2, 1 Corinthians 1:26-29). This is a message that students rarely hear and because of that don’t believe that they can have Culture Shaping influence. For the majority of students the culture is seen as either an immovable force that moves them wherever it wills, or it is something they never even think about. Both beliefs are unacceptable for a follower of Jesus. In Matthew 5:13-16 we see Jesus use three pictures to illustrate a believer’s role in the world (yours as well as your students’). Jesus says that we are the salt of the earth, a city on a hill, and a light placed on a lampstand. All three of these pictures show us that our faith isn’t meant to be lived personally and quietly in a closet. You can’t hide salt’s presence in something. A city wasn’t placed on the top of a hill to be ignored or hidden and Jesus tells us that the lamp “gives light for all who are in the house.” This is true regardless of personality type, awkwardness level, and giftedness. Jesus doesn’t make an age clarification in this passage. The students in your ministry are meant to live a life of influence. To be a follower of Jesus is to be a Culture Shaping influence. The two cannot be separated and as such it is time that student ministries begin proclaiming to students that God, who doesn’t need anyone or anything, chooses to use those who are weak. He is attracted to childlike faith and dependence upon Him. As student pastors and leaders, you must believe and lead knowing the truth that students are not merely the Church of the future that are in a holding tank of preparation, but they are people that God will use to shape the culture around us right now. Challenge your students with this reality.